In the Children’s Department, Dr. Yasmine Zaeni and staff enjoy creating a warm, fun and informative atmosphere for our young patients and their family members. Dr. Zaeni, a bay area native, received her Bachelor’s degree in Molecular Biology from UC Berkeley. She then went on to the Pacific School of Dentistry in San Francisco for her dental training where she graduated with honors. Dr. Zaeni is a member of the American Dental Association, The California Dental Association and The American Academy of Pediatric Dentistry. 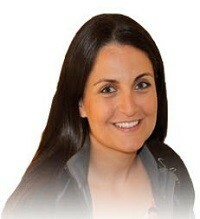 She believes in a gentle, patient, multi-faceted approach to complete oral health. 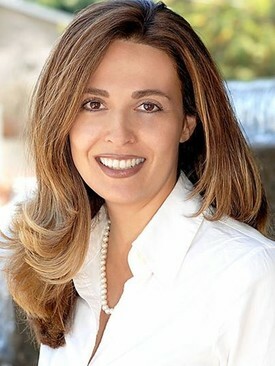 In her free time, Dr. Zaeni enjoys skiing in the Sierra and spending time with her family. She looks forward to meeting you! Dr. Karkhanechi is a certified orthodontist that has been living and practicing orthodontics in Northern California since 2001. “Dr K” received her Bachelor degree in Biochemistry and Cell biology from University of California, San Diego in 1994 with honors. In 1998 she graduated from University of California San Francisco School of Dentistry, where she received her Doctor of Dental Surgery Degree, she was given The Dean’s Award for her achievements in dental school. “Dr. K” went on to specialize in orthodontics in New York University, where she received her orthodontic degree in 2001. Dr. K is a member of the American Dental Association, American Association of Orthodontics, California Dental Association and Pacific Coast Society of Orthodontics. In addition to practicing orthodontics, Dr. K is also an assistant clinical professor of Orthodontics at the University of California, San Francisco School of Dentistry. Her involvement with academics allows her to have first hand exposure to the latest clinical and research techniques. When she is not practicing orthodontics, Dr. K enjoys spending time with her family. She loves skiing and enjoys swimming, hiking, cycling, painting, reading, and listening to music..
Dr. Paydar has lived in Northern California since 1998. He enjoys all things dental-related, and has worked abroad on several dental humanitarian trips. He loves living in Northern California, and spends his free time exploring, photographing the outdoors, and traveling with his wife, who is a family physician in Sacramento. He received his bachelors of science at the University of California Davis and went on to the University of California San Francisco (UCSF) school of Dentistry where he received his DDS, Periodontal surgery certificate and masters in Oral and Craniofacial Sciences. Dr. Paydar has many interests in dentistry including implant dentistry, soft tissue augmentations and various surgical procedures. His research area of interest is platelet rich fibrin (PRF) and bone healing. 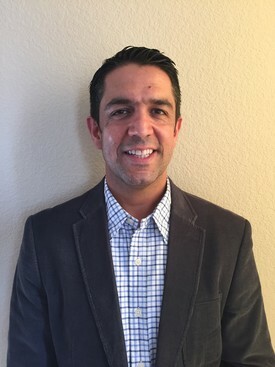 As an active member of American Academy of Periodontology, Dr. Paydar is passionate about quality dentistry and enjoys learning about new and innovative treatment modalities to better serve his patients. 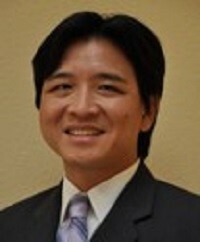 Dr. Victor Hwang is a native of the East Bay Area. He was born in San Francisco and raised in Walnut Creek. He received his Bachelor's degree in Microbiology and Molecular Genetics at UCLA as an undergraduate. 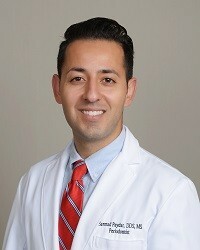 He attended Northwestern University Dental School in Chicago and received his Doctor of Dental Surgery degree in 2001. He decided to pursue further training in dentistry by completing a one year fellowship in general dentistry at the Harvard School of Dental Medicine in 2002. He returned to the Bay Area to practice full time in private practice as a general dentist for about 3 years in Pleasant Hill, California. During that period he also served as a part time clinical instructor at the UCSF School of Dentistry. After practicing general dentistry, he discovered his passion in dentistry was in endodontics. He continued his training and received his endodontic specialty certificate from the New York University College of Dentistry in New York City. Currently, he is a member of the American Association of Endodontists, California Dental Association, and Southern Alameda Dental Society. He was immediate President of the Northern Californa Academy of Endodontists (NCAE) in 2016 after serving on the board for the previous 3 years. Dr. Pietrowski received his Doctor of Dental Surgery (DDS) degree from the University of Southern California School of Dentistry in 2003. 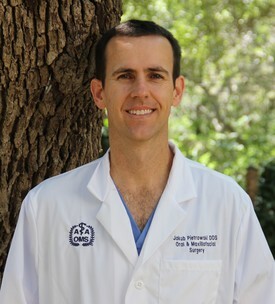 He then completed an Advanced Education in General Dentistry residency at Barksdale Air Force Base, Shreveport, LA., followed by his four-year residency in Oral and Maxillofacial Surgery from David Grant Medical Center at Travis Air Force Base. During his residency training, Dr. Pietrowski performed the full scope of Oral and Maxillofacial Surgery procedures and since then he has placed special emphasis in dentoalveolar surgery, pathology, bone grafting, dental implant reconstruction, and in the administration of anesthesia. Dr. Pietrowski’s goal is to provide the highest quality care possible to the patients in the community. He enjoys working in a team environment and puts the welfare of his patients as his number one priority. Dr. Pietrowski is a Board Certified Diplomate of American Board of Oral and Maxillofacial Surgery as well as a Fellow of the American Association of Oral and Maxillofacial Surgeons and the American College of Oral and Maxillofacial Surgeons. In addition, he is a member of the American Dental Association and is certified in Advanced Cardiovascular Life Support, Pediatric Advanced Life Support, and Basic Life Support. When not working, Dr. Pietrowski, along with his wife and two children enjoy hiking, skiing, playing tennis, wine tasting, and many other outdoor activities in the local area. Dr. Marzie Karkhanechi received her Bachelor’s degree from University of California, Davis after which she moved to New York to attend the prestigious New York University dental school where she received her doctor of dental surgery degree (DDS) in 2003. Dr. Karkhanechi entered the Orthodontic residency program at NYU where she completed her post-doctoral education in orthodontics and received an orthodontic specialty certificate. After graduation, she moved back to California and started her orthodontic career in the bay area. Dr. Karkhanechi feels extremely privileged to be working in the field of orthodontics where she has the opportunity to create beautiful smiles and ultimately be rewarded by her patient’s satisfaction. 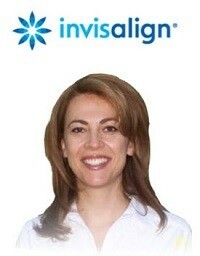 Her goal as an orthodontist is to give every child, adolescent and adult a healthy, beautiful smile. Dr. Karkhanechi constantly strives for excellence in her professional life. She embraces today’s advanced techniques and stays up to date on the latest orthodontic and dentofcial orthopedic advances by attending numerous continuing education courses and subscribing to relevant professional journals. Her research has been published in leading scientific journal. Dr. Karkhanechi aims to deliver a higher level of care that fits each individual’s needs. She sincerely appreciates the trust her patients and their families place in her and her team to provide their orthodontic care. Dr. Karkhanechi currently resides in Danville with her husband Sam and her two sons Darian and Daniel. When she is not working, she enjoys playing the piano, doing Pilates and going on biking trips with her family.